It’s almost that time of year for us to celebrate one of the most important men in our lives – our Dads. Whether he works from home or has his a corner of the house to call his own, a thoughtful gift for making his work space more comfortable will make his day. The perfect work space is a comfortable, calm, and well lit zone so treat him to a statement light, such as a floor standing lamp, to not only smarten up his home office, but offer a practical solution to lighting his desk area or newspaper reading corner in his home. 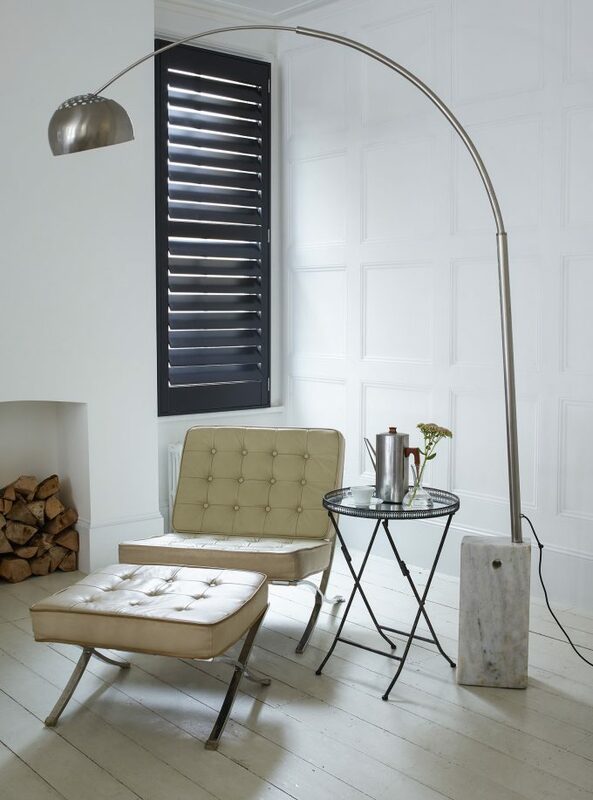 We’ve seen the industrial trend make a real mark inside our homes in recent years and if your Dad is a fan, opting for a simple but striking metal floor lamp as opposed to a wooden lamp with a traditional shade will bring a strong, masculine look to his work space. If you can barely see your Dad’s desk under all of his papers and receipts, some trendy home office accessories might be just what he needs to get organised. How about a letter organiser, paper trays, pen pots or a new laptop/iPad case? To add a touch of luxe to his gift, select accessories in materials like leather or suede. Or for something more personal, look at wooden home office accessories that can be engraved, and carve a special message that will make him smile. The perfect home office uplifts and inspires. Photography, art or family pictures your Dad can hang up on the wall is a great way to help him achieve this. Find a piece of art in uplifting colours you know he loves, or print your happy memories together in a frame. Not only a sentimental touch, but he’ll be reminded of you every time he’s sitting at his desk. A thoughtful gift idea if your Dad is a gin connoisseur, treat him to a fine glass decanter or a small stand to keep his collection of bottles on display. Safe in the corner of his home office and out of the way of little ones and pets, your Dad will feel like Don Draper at his desk everyday. Does he read the paper? Or dip in to a good book? His corner of the house needs a comfortable footstool, so he can kick back, relax and unwind after the day. Footstools in luxury materials such as leather or suede will bring a masculine look to his space, and will stand the test of time. They’re under-estimated for their usefulness, doubling up as place to keep books, ipads and office necessities propped on top. Is he decorating his home office, garden house or shed? Perhaps your Dad is in the process of giving his ‘man cave’ a spruce. Whether it’s a workshop in the garage he’s decorating, a van, a garden house, shed or a room, there’s lots of gifts you can get him to help him create that perfect space. 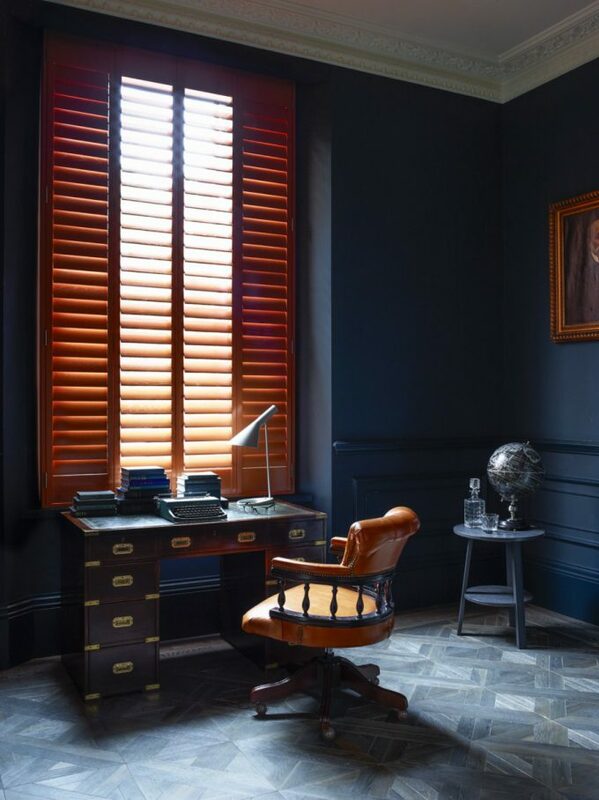 Shutters are one of the most versatile window dressing he can add to a work space. They’ll give him full control of the amount of light that enters the room. 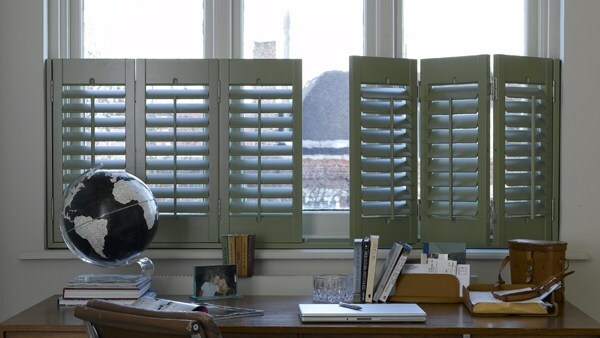 The slats are tiltable which will prevent screen glare on his laptop and devices. 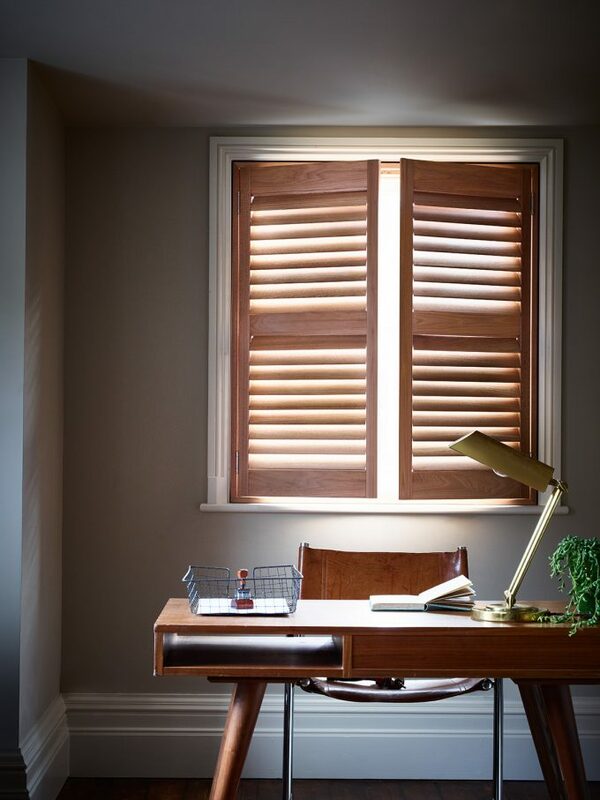 Shutters help to block exterior noise which will provide him with a quieter space to work, and they’ve even been proven to retain heat, keeping his space warmer in colder months. 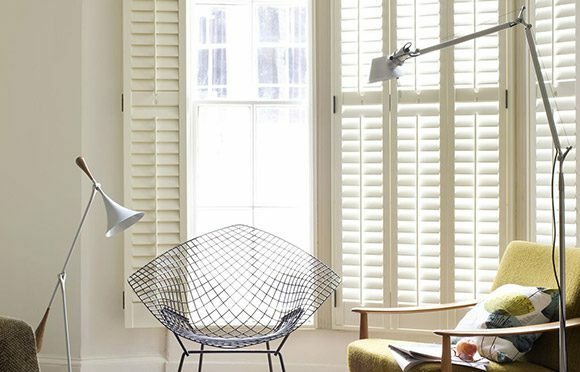 If you or your Dad would like to discuss getting shutters installed, book an appointment today and we’ll be in touch. 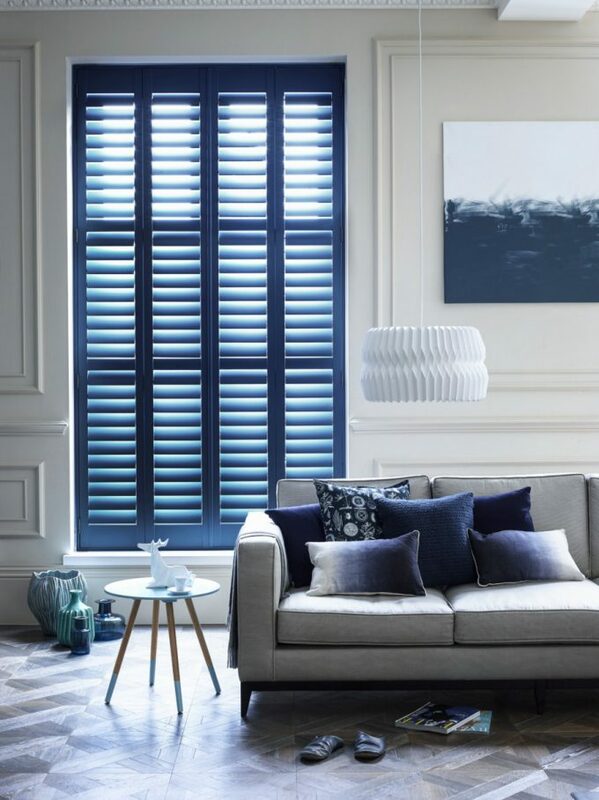 We’re offering 20% off all shutter orders until the 30th June – the largest standard discount we’ve ever offered!